Results of schedule matches played 28th March 2009 in the Harrison Parks Belize District Cricket Competition. Unfinished Business of Biscayne Village defeated Bright Star of Sand Hill Village by a score of 95 runs. Marlon Rhaburn top scored with 14 runs, Michael Seguro scored 13 runs, Allwin Dawson scored 12 runs, Lansford Gideon and Fredrick Bonner scored 7 runs, Captain: Andy Dominguez scored 5 runs, Andrew Armstrong and Wilbert Dawson scores 4 runs Leon Flowers Scored 1 runs, it took the last wicket for Biscayne to bat order for them to won the game. Frederick Bonner not out. Bright Star of Sand Hill Village won the toss and batted first and scored 92 runs all out. Edwin Flowers top scored with 25 runs, Ashton Vaccero scored 22 runs,Lencho Moralez scored 12 runs, Samuel Suckhnandan and Joseph Suckhnandan both scored 8 runs, Elihue Bonner(President BDCA) scored 3 runs(not out) and Berris Reyas, M. Dawson and Ardel Vaccero scored 1 runs. The matches between Sunrise of Lords Bank and Brilliant of Crooked Tree Village were postponed and will be played as a back match. 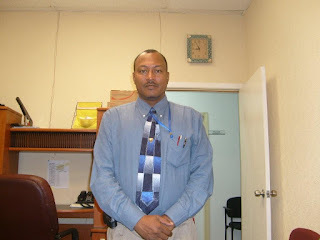 Just want to big up my brother, Elihue for doing such a great job, as the chairperson of the cricket teams. Love you my handsome and intelligent brother.